Bump Pimp Hand Strong, the latest mixtape from Bobby Brackins, which dropped on Wednesday, September 14th, 2011. Bobby Brackins's horizons are broadening with each new release, and Pimp Hand Strong is no exception. It's a worthy addition to a catalogue that has seen much growth since Bobby Brackins stepped foot in the rap game. We're looking forward to hearing more. These artists contributed to the project: Ray J, Kendre, Marc Griffin, Mann, Starting Six, Ty$, Ben J, Tinashe, Campa. Hit up our mixtape section to stream and/or download by Bobby Brackins’s new Stay On It project, dropped on Wednesday, April 25th, 2012. It features such tracks as Fillmore Slim, Shout Out, Right Now feat Ray J. If you're feeling this, make sure to hit up Bobby Brackins's profile page for the latest info, news, songs, and mixtapes. 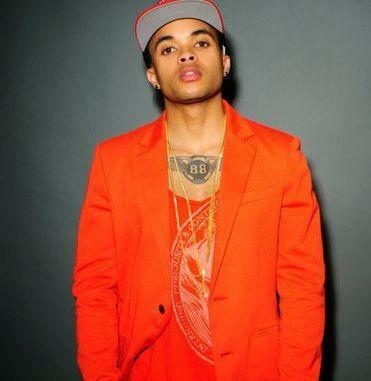 Remember to follow Bobby Brackins on Twitter.